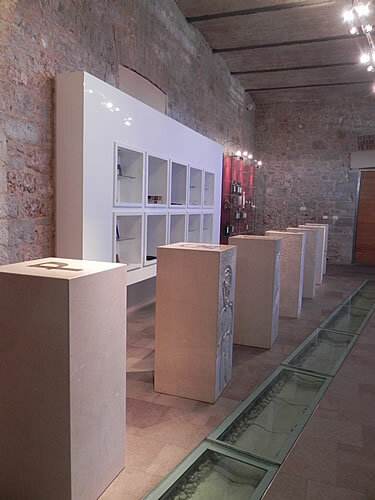 Stina wines draw their inspiration from the famous Brač stone. Stina, of course, means stone in the local Dalmatian dialect. Although there’s a history of winemaking on the island that goes back to the ancient Greeks, it’s been somewhat run down over the last century. Stina aka Jako vino has spent the recent few years renovating the old vineyards and replanting to bring back this traditional local industry. Their own vines are not yet fully mature, though they hope to harvest their pošip by next year (2013) and the plavac mali another year beyond that. In the meantime, their pošip is produced from grapes grown in Smokvica on Korčula, while their plavac comes from other vineyards on Brač. The south-facing slopes of Brač should be a similar environment to the south beaches of Hvar and Pelješac, so we hope for some great quality wines from here in the future. The lovely new winery and tasting room is in a great position right on the waterfront in Bol. 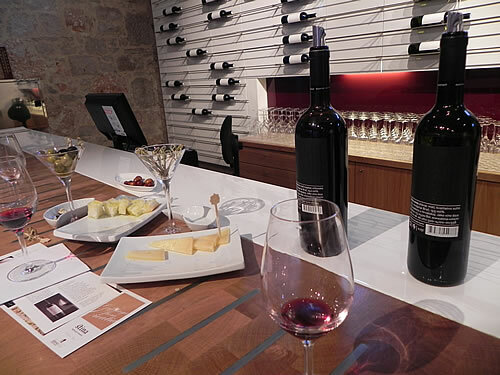 The old Brač Wine Cooperative building, dating back to 1903 has been beautifully renovated, and it’s a great place for a sail-in wine tasting. 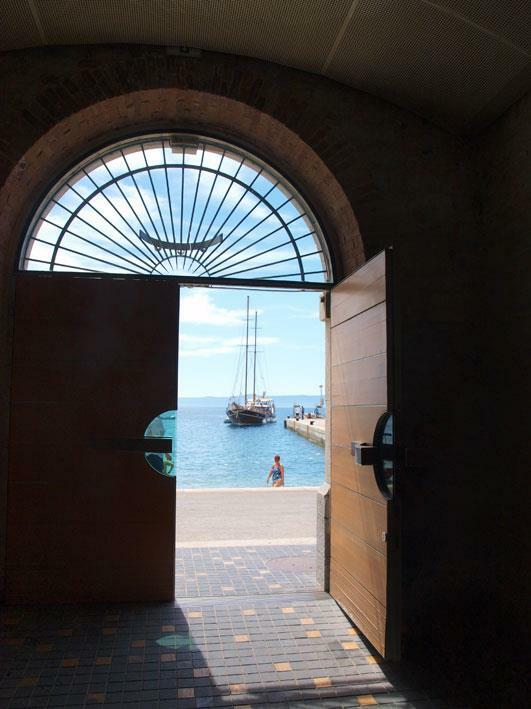 Inside, it brings to mind a classy art gallery where tradition blends with modern in a showcase for Brač stone and all good things from this island. 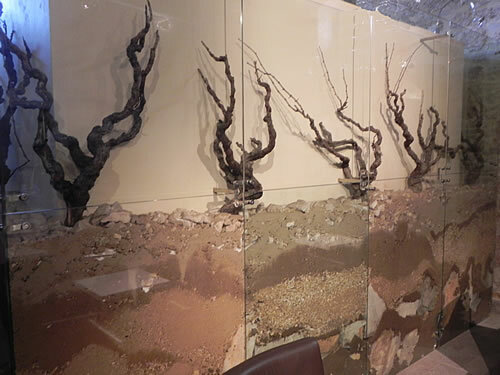 The tasting room has a sitting area where you can try wines with food taster plates right next to a display of old vines in stony soil – a reminder of where it all comes from. The designer effect continues to the bottles. The award-winning labels are white, with no ink to speak of, only the name simply embossed in the top corner. It’s a natural watercolour paper so you can paint your own design, using the wine inside if you like! On the reverse is a black label with shiny black print giving the effect of etched marble. It is distinctive and fun, but really, isn’t the prime purpose of labelling to be informative and readable? Anyway, on to the wines! First up, we tasted the Stina pošip 2011 – we’d very much enjoyed a glass of this with our lunch already, and were happy to have more! 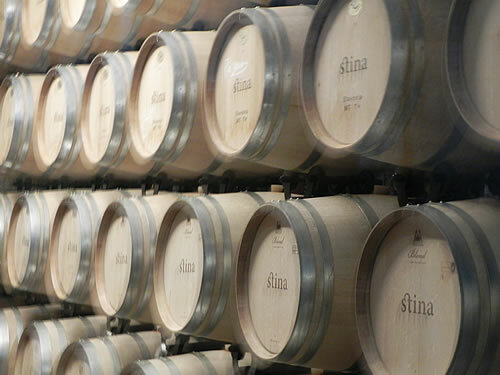 As we sipped the wine, we toured the production area and the oak barriques in the warehouse. The pošip is a fine example of why this varietal is challenging the better-known and elsewhere ubiquitous chardonnays and sauvignan blancs. Hooray for pošip and how great it is to see another winery entering the market so strongly. I appreciate the sense of place you get from Croatian wines, and it’ll be fascinating to see if the different islands are detectable in the flavour, once these folks are havesting their own grapes. Barrique barrels contain the future years’ production! Their other white, the Stina Vugava wasn’t available, sadly. Vugava is yet another local grape varietal, this one originating from the island of Vis. Will need to come earlier next year before they run out of supplies! Next up, the Opol Rosé is a dry, very drinkable summer rosé in the Provence style. I’m a big fan of rose wines for the summer, and I enjoyed this one a lot. 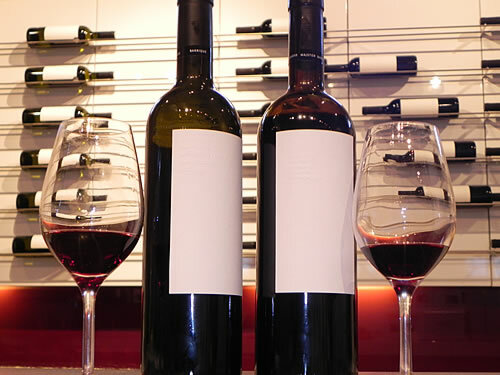 Moving on to the red wine, we tasted two versions of the Plavac – barrique and majstor barrique from 2009. Both of these come from local cooperative Brač grapes so I think this may be my first taste of a real Brač wine! As with all plavac wines, (like its cousin zinfandel) there’s full-bodied cherries and plums, and maybe a touch of blackcurrent with spicy pepper. The barrique is a fairly nice standard table wine, while the majstor barrique is much more complex, with overtones of chocolate and more spices. Smooth and very nice. We got a couple of bottles to take away so we’ll see what happens as it ages. Or then again, perhaps not, as we’ll probably drink it well before then! I believe that Stina wines are not yet made in sufficient quantities to be available further afield so you’ll need to take yourself down to Brač to try them. A promising winery such as this in Bol is good to see, building on the long wine-making traditions of the islands. Learning about the best Plavac Mali wines – where do they come from?